Adventure is divided into several tasks for which they get a separate experience. 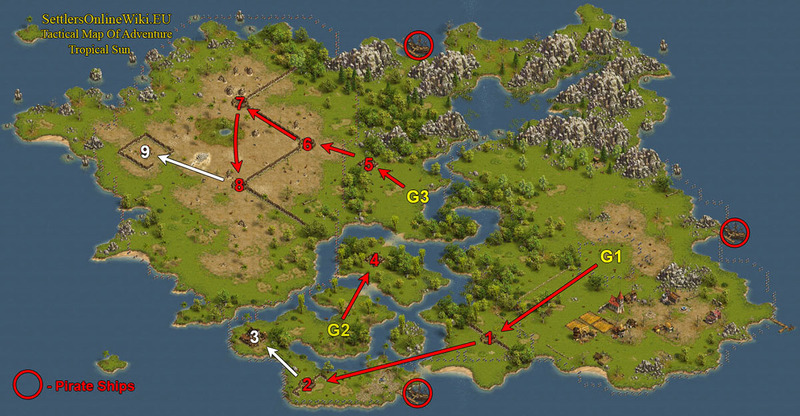 One of the tasks is to find the (mouse click) pirate ships, marked on your map with a red circle. The camps have to destroy the order given.